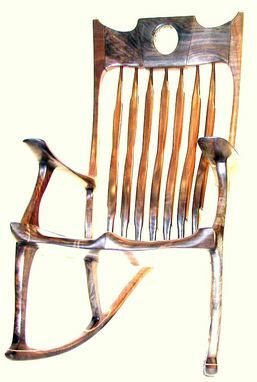 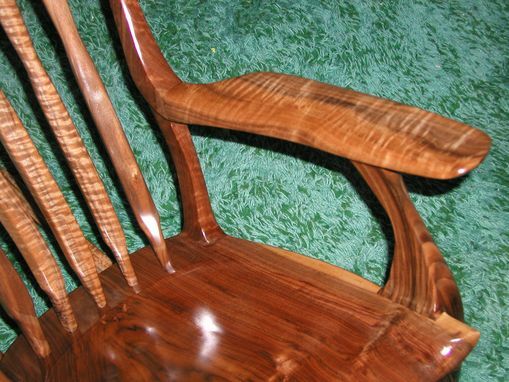 This 'Crown Jewel' rocking chair is made of Bastogne Walnut with accents of Ivory, Ebony, Tiger Maple and my won molded glass. 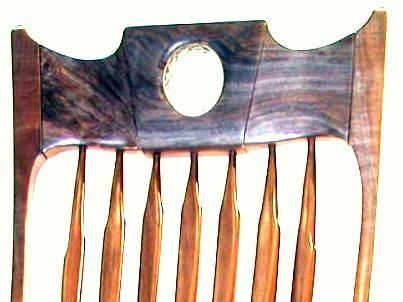 I made the 'Crown' series to give support to the head, somewhat like on an airplane one asks for a pillow to support the head while in flight. 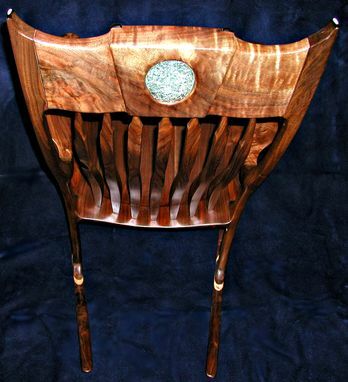 The 'Balance' on this rocker is about neutral for a relaxed rocking.